In a post-conflict country like Rwanda, the level of innovation and entrepreneurship, especially amongst women, continues to amaze me. Urwego Opportunity International has more than 50% female borrowers. Many women, post-genocide, embarked on the entrepreneurial route as a way of supporting their families and move towards a more prosperous future. I am curious to hear their stories, and how their lives have improved as a result of hard work and commitment, but also as a result of access to start-up capital. What made them so successful and what does success look like for them? I went on a quest around Kigali to find out. Here are the stories from the most impressive women I met. Rehema and Epiphanie have started a local butcher shop in their village in Kigali. Epiphanie is married with seven children and Rehema is a widow with seven children. 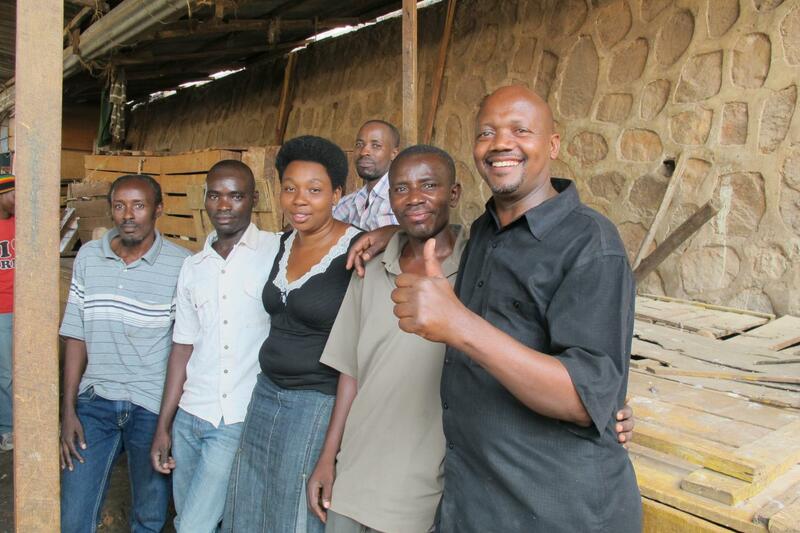 Together, they have built their business over ten years and now employ six people. 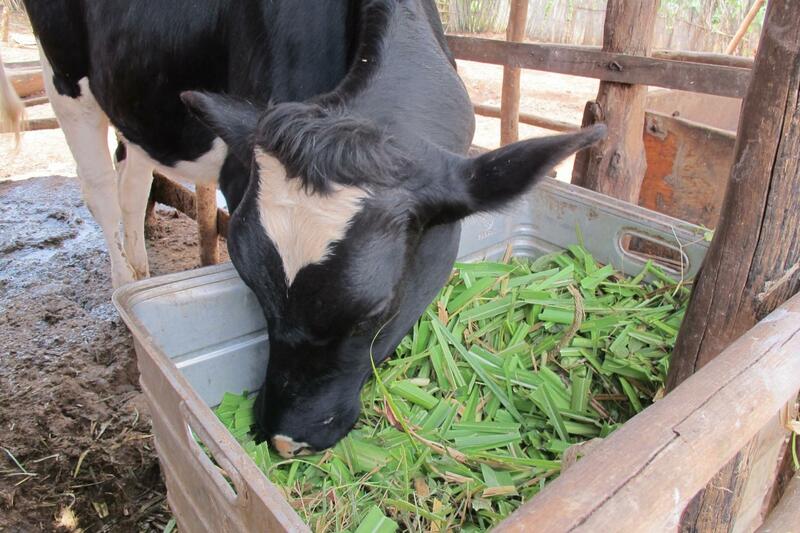 They buy meat from a local supplier for 1,600 Rwandan francs and sell it for 2,500 - making a healthy profit. Through friends they heard about Urwego and applied for their first loan. “Work hard and continue to learn and develop your skills is key to start a successful business” says Epiphanie. “Life is not always easy. You need to have a strong mind and never give up” she continues with a smile. “You have to believe you can do anything”. Not only after having spoken to her for an hour I realize that she only has one leg. Yet, she has managed to raise seven children and run a butcher. What an amazing woman! Thanks to their successful business, they can now afford very nutritious food every day, like meat and milk, for their children, so they can grow strong. “We want other women to join us”. Rehema says. “Together we can be even stronger. All women - let's unite together!". Jeanette has three children and a husband. She is the leader of a 40-people strong co-operative named Gisozi, breeding and selling roosters in the bustling Kimisagara market in Kigali. She got the idea to start the business three years ago after a friend of hers offered her to buy chickens for the household. “Thinking through what your business will look like and develop a structured business plan to make sure you will not default is important when you apply for a loan” she says. She has used the loan proceeds to expand her business beyond the remits of the market place. “I found more customers outside the market” she explains. “It is all about being pro-active and looking for opportunities beyond what you currently got in front of your nose. Today I supply restaurants and supermarkets as well as serving the local shoppers in Kimisagara”. The business has made a great impact on her personal life. Instead of renting a house, she has now been able to purchase her own home for the family. Independence is very important to Jeanette. In addition to her new house, she has also purchased a car and acquired a driving license! Now she is a truly independent woman. 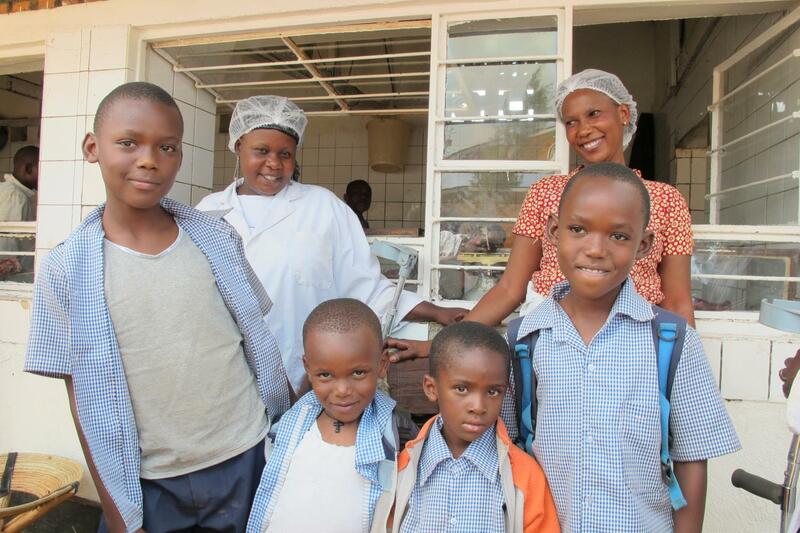 Francoise lives in Kigali with her husband and five, now grown-up children. Her husband was in prison for 15 years after the genocide, and she raised all children by herself and through Urwego and Kiva she could afford to provide them with education all the way up to university. Now her children are successful entrepreneurs across East Africa. Her first loan was 30,000 Rwandan francs and today she has a loan of 600,000 Rwandan francs with Kiva. She used the loan proceeds to start her own grocery store, but also to invest in other co-operatives and participate in local saving schemes. Overall, she has been incredibly successful and is very content with life. 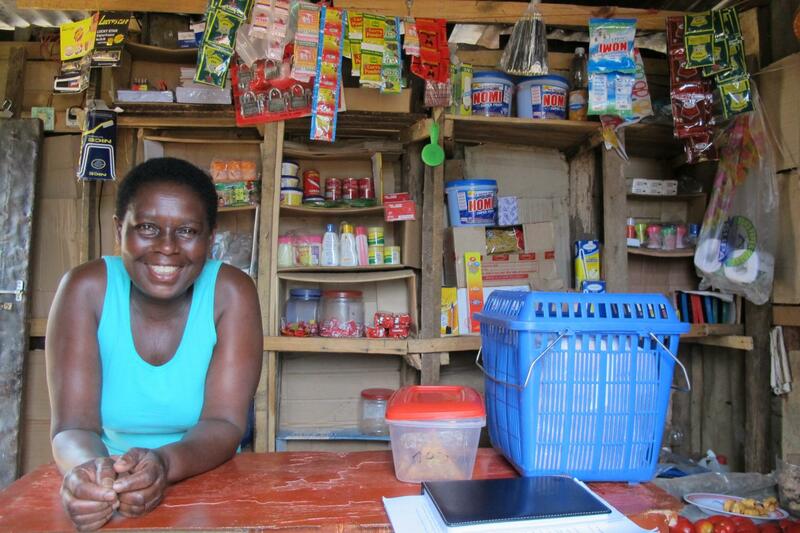 The business has given her a completely new life with a modern house boosting electricity, water and a fridge! “We live in modern times where women need to be independent and don’t sit at home just waiting for their husbands to provide the income” she says with determination. “Women can be as good entrepreneurs as men and it is up to us as well as to our husbands to provide a solid foundation for our children. The time for women is now. Go out there and seize the opportunities in front of you”. To all Kiva lenders out there - keep lending. It works. 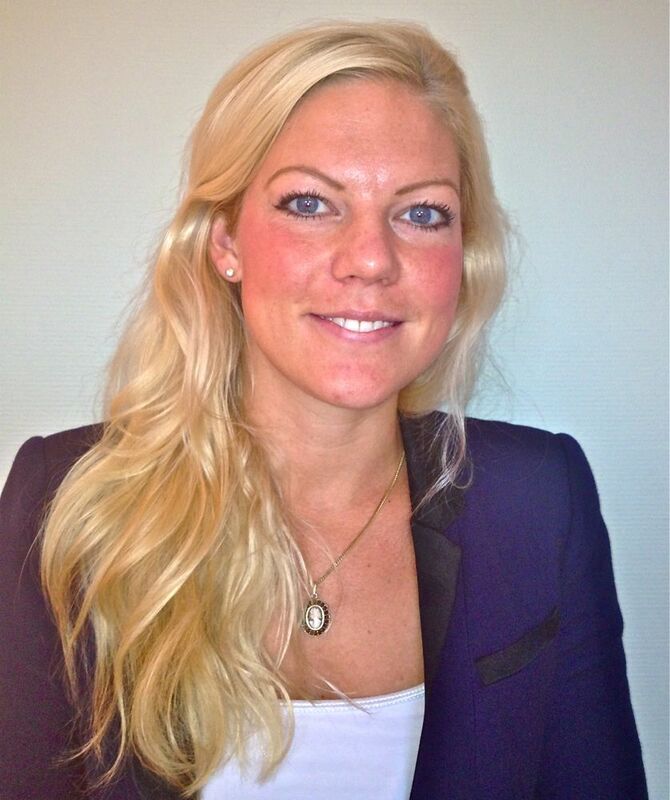 Louise grew up in Stockholm, Sweden, and studied International Business at the University of Stockholm. From a young age she has been a passionate traveller and was always keen on living abroad. The majority of her professional career since graduation has been in management consulting and investment banking in the City of London, helping different clients to respond to unprecedented challenges and delivering sustainable transformation with global remit. Inspired by the global conversation on sustainability and the role of corporate leaders, Louise decided to leave London to support this agenda at its roots in the developing world. Based in Nairobi, Louise has leveraged her experience of strategic change to help nations generate youth employment and responsible leaders by teaching leadership and entrepreneurship to vulnerable communities across Sub-Saharan Africa. Louise now aspires to pursue an international MBA as a springboard into social entrepreneurship and is very excited about the practical experience and knowledge that she will be able to acquire as a Kiva Fellow.